Dr. Newman-Toker is Professor of Neurology, Ophthalmology, & Otolaryngology at the Johns Hopkins University School of Medicine. He serves as Director of the Division of Neuro-Visual & Vestibular Disorders in the Department of Neurology and Director of the Armstrong Institute Center for Diagnostic Excellence. His training is in Neurology, Neuro-ophthalmology, Neuro-otology, and Clinical Investigation. Dr. Newman-Toker’s clinical interest is in diagnosis of acute disorders affecting the brainstem and cranial nerves, including stroke. His research mission is to achieve better outcomes through better diagnosis. He has published more than 90 peer-reviewed journal articles and given more than 170 invited lectures, most on diagnosis of dizziness and diagnostic errors. 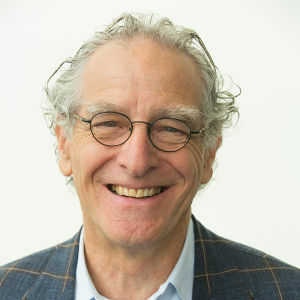 He co-chaired the Diagnostic Error Conferences in 2010, 2011 and 2012, served as the inaugural chairman of the SIDM Research Committee, and currently serves as the chairman of the SIDM Policy Committee. 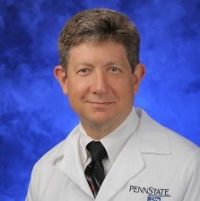 Dr. Mosher is the Kenneth L. Miller Chair of Radiology and Distinguished Professor of Radiology and Orthopedic Surgery at the Penn State University College of Medicine. 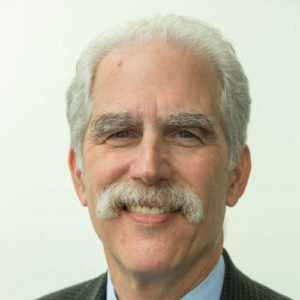 Dr. Mosher has published over 60 manuscripts with the majority in the area of musculoskeletal imaging, quantitative cartilage imaging, and MRI technical development. Dr. Mosher is a Fellow of the International Society for Magnetic Resonance in Medicine. He served as Deputy Editor for Magnetic Resonance in Medicine, Osteoarthritis and Cartilage, and is currently an Associate Editor for a peer-reviewed journal, Radiology. He is a frequent NIH study section reviewer and has served on the Scientific Advisory Board for the Canadian Arthritis Network. 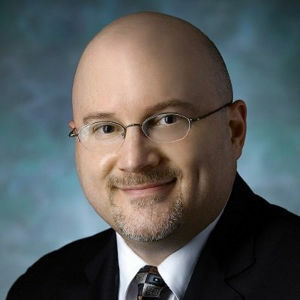 Edward Hoffer is Associate Professor of Medicine, part-time, at Harvard Medical School and Senior Scientist at the Massachusetts General Hospital (MGH), where he is Assistant Director of the Laboratory of Computer Science. Ed has been the lead content developer of DXplain, the MGH-developed expert system for diagnostic decision support, responsible for database development and maintenance. He is currently leading efforts to expand the role of diagnostic decision support by integrating it into electronic medical record systems. He has taught both physicians and the lay public through formal Grand Rounds and public lectures, focusing on his clinical areas of interest in atrial fibrillation and geriatric cardiology as well as on health system issues. He has also contributed via committee work and leadership roles at the hospital, state and national levels. Dr. Hoffer received his medical degree from Harvard Medical School and completed his residency and fellowship training in medicine and cardiology at MGH. He is a Fellow of the American College of Medicine, the American College of Cardiology and the American College of Medical Informatics. He has published over 50 scientific papers in the field of medical informatics. He has edited a textbook on emergency medical problems in the elderly and has most recently published a book titled Prescription for Bankruptcy, detailing the failings of the US health care system and proposing remedies. Jen is a six-year breast cancer survivor, though she still struggles with that term. At 32, she was mistakenly diagnosed with metastatic breast cancer. She was treated for metastatic breast cancer for four-and-a-half years before her doctors concluded that she was in remission and had been exhibiting an autoimmune disease rather than metastases. She will always be a staunch ally to patients living with metastatic disease. A lawyer and former lobbyist before the federal government, Jen writes about motherhood, policy, and cancer on her blog and lends her legislative experience to advocacy groups such as YSC and METUP. She is also a member of the National Coalition for Cancer Survivorship’s Cancer Policy & Advocacy Team. She has written for The Huffington Post, ScaryMommy.com, CureDiva.com, Nancy’s Point, Women You Should Know, Cancer Knowledge Network, Healing Journeys, and Rage Against the Minivan. Jen was featured on The Today Show in October 2014 in a segment kicking off Breast Cancer Awareness Month hosted by Joan Lunden. 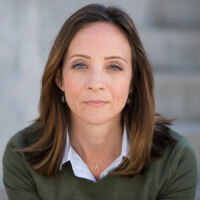 Jen has also been featured in articles on the Livestrong Blog, EmpowHer.com, as part of Health Monitor’s Guide to Metastatic Cancer, in the Idaho Statesman, on a podcast on the Cancer GamePlan, and in a radio segment on The Stephanie Miller Show. Gurpreet Dhaliwal, MD is a Professor of Medicine at the University of California San Francisco. He studies how doctors think, how they diagnose, how they make treatment decisions and how they develop expertise. Considered one of the most skillful diagnosticians and clinician-educators in the U.S. today, Dr. Dhaliwal sees patients and teaches medical students and residents at the San Francisco VA Medical Center. Dr. Dhaliwal is a member of the UCSF Academy of Medical Educators and the UCSF Department of Medicine Council of Master Clinicians. He has received multiple teaching awards at UCSF and the 2015 national Alpha Omega Alpha Robert J. Glaser Distinguished Teacher Award. He writes for The Wall Street Journal’s “The Experts” healthcare blog. He has published over 100 articles in leading medical journals including the New England Journal of Medicine and the Journal of the American Medical Association. 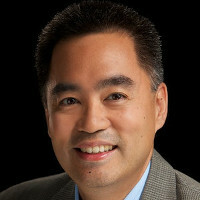 Tom Lee is CEO and Founder of SA Ignite, a cloud-based technology company whose mission is to help healthcare providers successfully navigate the transition to value-based care. He is a serial entrepreneur and leading expert in healthcare value-based programs such as Merit-based Incentive Payment System (MIPS) and Alternative Payment Models (APMs). The company's platform serves 14,000+ clinicians and was awarded the 2017 Frost & Sullivan Enabling Technology Leadership Award. His interest in diagnostic error stems from personal and family experiences and a belief that reducing such errors are vital to improving patient outcomes and the financial sustainability of healthcare. Tom is a member of the Young Presidents’ Organization and earned a PhD in Physics from the University of California, Berkeley, where he was a National Science Foundation Fellow, and an MBA with Distinction from the Kellogg School of Management at Northwestern University. Dr. Meyers is an emergency physician and former Chair of Emergency Medicine at Sinai Hospital in Baltimore. 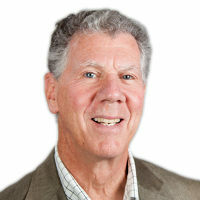 He has also served as Chief of the Medical Practice Division at EmCare, Inc., a large national physician practice management company where he was responsible for the risk and claims management and professional liability insurance programs for more than 7,500 clinicians and six million annual emergency department visits. He led the development and implementation of a number of successful initiatives to reduce diagnostic errors in high risk, high frequency conditions. He is active in the American College of Emergency Physicians (ACEP) where he chaired the first Patient Safety Task Force and the Quality Improvement and Patient Safety (QIPS) Section where he continues as a member of the leadership group. Dana Siegal is the Director of Patient Safety for CRICO Strategies, a division of the Harvard Medical Institutions. She provides analytical and educational services on patient safety to academic medical centers, community hospitals, and physician practices with an emphasis on diagnostic-related claims, OB, EHR and Emergency Medicine. She provides leadership to the Comparative Benchmark System (CBS), a database of more than 350,000 MPL claims from a national landscape of academic and community organizations. Prior to her current role, Ms. Siegal had 15 years of clinical nursing leadership roles in Emergency Medicine, and 20 in healthcare quality and hospital risk management. She has extensive experience in the analysis of provider performance data, adverse and sentinel event management, apology and disclosure, physician peer review, and litigation preparation and support. 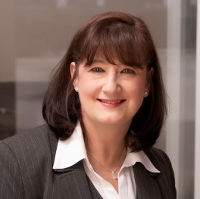 She currently serves on the planning committees for Hospital Insurance Forum (HIF), American Society for Healthcare Risk Managers (ASHRM), and on the Editorial Board for the ASHRM journal. Paul L. Epner, MBA, is the Chief Executive Officer and co-founder of the Society to Improve Diagnosis in Medicine (SIDM). He is also the Chair of the Coalition to Improve Diagnosis, a multi-organization collaboration. Paul is a Past President of the Clinical Laboratory Management Association (CLMA) where he also created the Increasing Clinical Effectiveness (ICE) initiative. 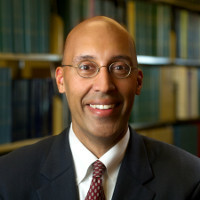 He is a member of the CDC’s “Clinical Laboratory Integration into Healthcare Collaborative,” a consultant to their Laboratory Medicine Best Practices program (an evidence-based practice initiative), and Chair of the Coordinating Council on the Clinical Laboratory Workforce’s (CCCLW) Taskforce on Measuring Testing-Related Value. Read the Society to Improve Diagnosis in Medicine (SIDM)'s Disclosure & Conflict Policy.